We Don’t Do Loans. We Do Leverage. Five Talents does not charge interest and does not provide loan capital to individuals. We used to do this, but over the years Five Talents has developed a model that we believe is much more effective at empowering the poor. Instead of using donor's gifts to make loans that could make a new entrepreneur dependent, our partners use funds donated to Five Talents to provide training and to establish and equip local groups to save and invest their own resources. These groups then provide a platform to launch and develop locally-owned businesses. This approach is effective and sustainable. Even in the world's poorest and most vulnerable areas there are existing resources that can be leveraged as communities learn to save and invest together. In Five Talents savings groups, an individual may start by saving as little as 50 cents a week. As he or she saves together with neighbors and friends in a small group, each person learns business skills and tools for financial management and business development. After a short period of saving together, the group has enough funds to begin offering loans to its members. These start as small loans of $5 to $50. But these small amounts are enough to help each family start or expand their own small business. Over time these businesses grow, and the new entrepreneurs repay and recycle the funds in growing increments throughout the group. By investing in training, Five Talents can mobilize and leverage local knowledge and skills to build sustainable businesses. By working with communities and in small groups, Five Talents can leverage existing social networks and capital. 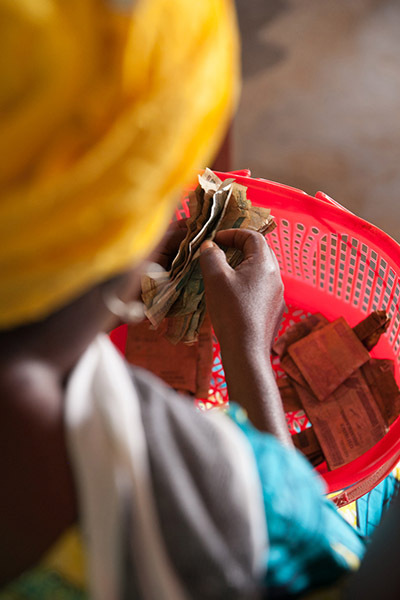 By using a “savings-first” approach, Five Talents can mobilize and leverage local resources to create long-term financial solutions. Leverage means that every dollar given to Five Talents reaches more families, accomplishes more good, and delivers lasting results. Five Talents recognized for its ministry of economic empowerment. Join us, you have a chance to change lives and challenge the issues that are shaping our generation. Five Talents is proud to announce that during our twentieth year anniversary we have achieved Platinum status, the highest level of transparency and accountability. What does it mean to empower the poor and what approaches are effective? Learn a proven model from Five Talents USA. Dale Stanton-Hoyle takes the helm at Five Talents, a Christian charity empowering the vulnerable poor through business and community savings.